How much effect does a major conductor have on an orchestra with which they have not worked regularly; how much is skill of the moment and how much created over a period of time? These were thoughts which occurred to me as I waited for the start of Valery Gergiev's concert with the Oxford Philharmonic Orchestra at Oxford Town Hall on Friday 13 October 2017, when they performed a programme consisting of the overture to Rossini's Guillaume Tell, Stravinsky's Violin Concerto with Roman Simovic, Mendelssohn's Symphony No. 4 'Italian' and Stravinsky's Firebird Suite (1919 version). Valery Gergiev has conducted the orchestra once before, in 2013, and the Oxford Philharmonic is not a full time orchestra, the players all play in other ensembles as well. So could Gergiev make the magic happen? Oxford Town Hall is not an idea concert venue. With no podium for the orchestra, sight-lines from the hall were not perfect, and the acoustic is moderately resonant (not to mention the distracting profusion of plasterwork), making me wonder whether the very present quality of the orchestral sound was a factor of venue or conductor. 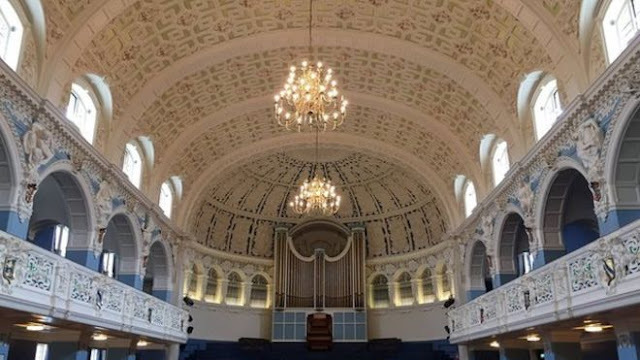 In fact, Oxford Town Hall is not the orchestra's regular home but the Sheldonian, where they give many of their concerts, was in use for the opening of the Oxford Lieder Festival. The opening of Rossini's overture was striking for the strong, rich tone of the solo cellos and bass, though there were moments which made us realise how exposed the passage is. The storm was full of vivid drama and crisp excitement with very strong brass, whilst there was nice orchestral detail in the pastoral episode. The final galop started crisp, tight and fast, generating real excitement to the end. A striking and perhaps very particular reading of such a familiar piece. Stravinsky's 1931 Violin Concerto is far less familiar, and during it there was the feeling that this is not music which the orchestra has in its bones. The work combines Stravinsky's neo-classical style with a sense of the baroque concerto grosso. The opening Toccata was full of energy, the strenuous violin solo contrasting with strong colours in the orchestra. The second movement, the first of two Arias, was strong textures and robust with tireless playing from Simovic. There was a looseness and freedom in the orchestral playing, rather than the crisp tightness you often hear in Stravinsky of this period. 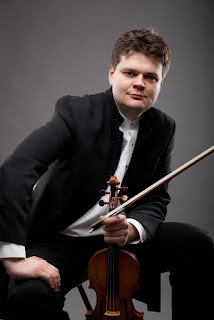 The second Aria featured a slow, intense solo from Roman Simovic, leading to the furious violin solo in the final Capriccio, with Simovic playing with terrific energy, matched by the energy and intensity in the orchestra. The effect was a bit relentless, but a real tour de force. Roman Simovic's stunning performance of the solo part was well received by the audience, and we were treated to an encore; a fiendishly difficult contemporary piece, brilliantly played but frankly it was rather too long for an encore. After the interval we had Mendelssohn's Symphony No. 4 'Italian'. This certainly was not a big-band interpretation, but whilst more chamber in conception, Gergiev's view of the work seemed to owe little to period performance practice. The opening Allegro vivace was fast with crisp details, lyrical but strong toned and little in the way of fluidity of tempo. There was a sculptural quality to the wind lines in the Andante con moto, with the steady tread of the cellos giving a sense of inexorable onward motion. The third movement, Con moto moderato, was graceful and flowing, with some magical horn playing in the trio. Light at first, the Saltarello soon developed into something vigorous and full blooded. Quite serious and sober in mood, there was little joie de vivre but it certainly was not lacking in character. So far, the concert had been entirely creditable if not more so. But a little bit of magic seemed to happen with the opening notes of Firebird, the orchestra seemed transformed. The low rumbling in the bass of the orchestra created a suitably unearthly atmosphere, and as the piece developed we could appreciate the sheer beauty of the orchestral writing. The Firebird's entry was dazzling, full of crisp detail and then we had the slow beauty of the melody of the Rondeau. Kashchei's dance was full of excitement but Gergiev never lost sight of the detail, and we had a terrific dash to the end. The Berceuse with its lovely bassoon solo gave the feeling that there was all the time in the world. the music flowed beautifully into the finale with its radiant sunrise and final, exciting tableau.